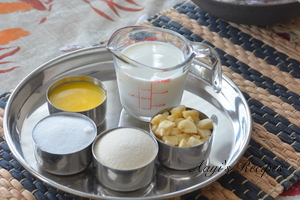 Sapaath is the traditional prasad(offering for god) prepared for Satyanarayan pooja. 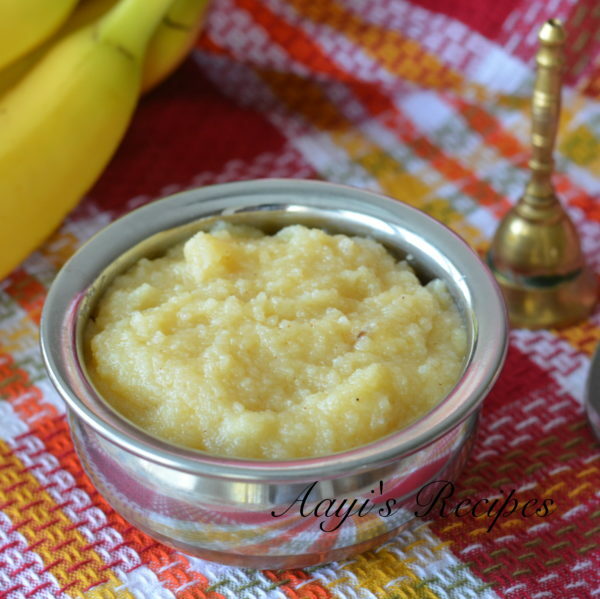 Sooji is cooked in ghee and milk, then bananas are added to make this very aromatic, tasty sweetdish. While growing up, this was one of the reasons we kids attended the pooja. We moved into our new house last year. I wanted to have Satyanaran pooja at home but I wanted to have family here for the pooja. I was trying to convince my parents to visit, but things were not working out. Finally this August they agreed to come and I immediately thought about pooja. So we had the pooja last week. I invited all my friends home. 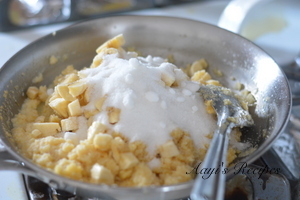 Aayi made a HUGE batch of Sapaath. All the friends loved it, most of them had never tasted it before. I wanted to keep the lunch simple that day but still wanted everyone to have something to eat. We had lemon rice, idli-sambar-chutney, chane usli, airaawat, curd rice, lemon pickle. Everyone enjoyed the food and I loved all the company too. 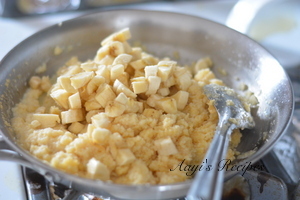 Add sugar, banana and cook. 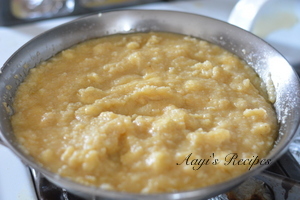 Heat ghee and add sooji. 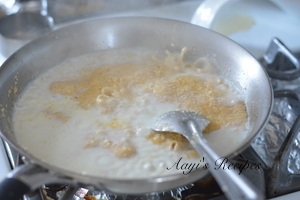 Fry till a nice aroma comes out and sooji turns slightly brownish. Add milk and cook till all the milk is absorbed. 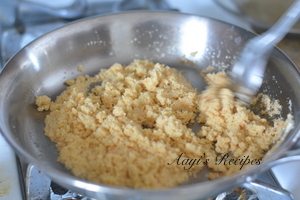 Cook for few minutes till the mixture turns slightly dry. 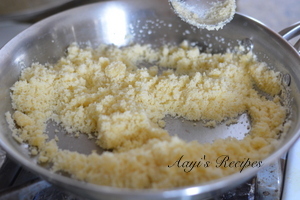 Lovely .will give a try.I make similar sheera with pineapple cubes by first microwaving with some water and sugar just to soften.